Aikido Classes are provided by Najimu Sanada https://www.youtube.com/watch?v=XgirqEHcczw&feature=youtu.be. Classes are available for both Brothers and Sisters. Grew up in Japan studying traditional Japanese martial arts at the age of 12. Began his career as a high school martial arts instructor in Yokosuka city Japan. Opened up three martial arts academies in Japan, Syria and Turkey that are still running by his black belt students. Taught defensive tactics such as handcuffing, knife deployment and gun disarm techniques to law enforcement in Asia, the Middle East and currently in the U.S to law enforcement and Veteran affairs. 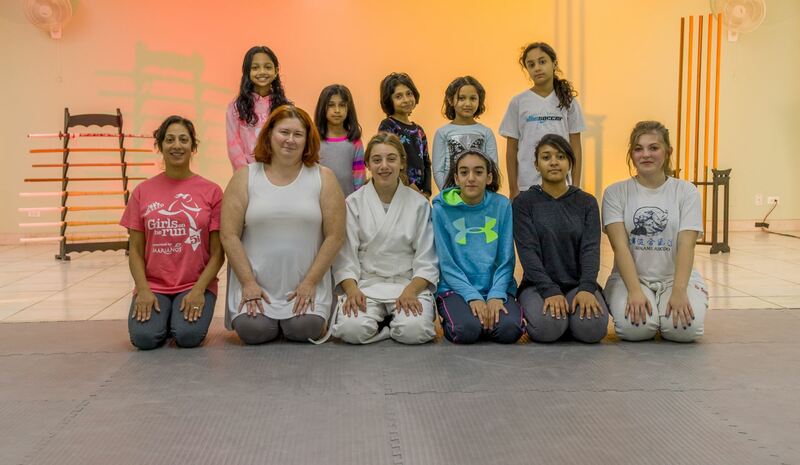 The primary goals of the class are to get in shape, develop increased coordination, increase flexibility and endurance, capture mental clarity focus, self-discipline and self-defense. I have appreciation letters from the Veteran affairs, a certificate of excellence from the Abu Dhabi police, a news article in UAE, along with some of my medals and certificates. I also have an appreciation letter from the Lake County Sheriff. Sisters 5:00 - 6:00 p.m.
Sisters 3:00 - 4:00 p.m.